This is the narrow-swath MODIS/Aqua subset along CloudSat field of view track. 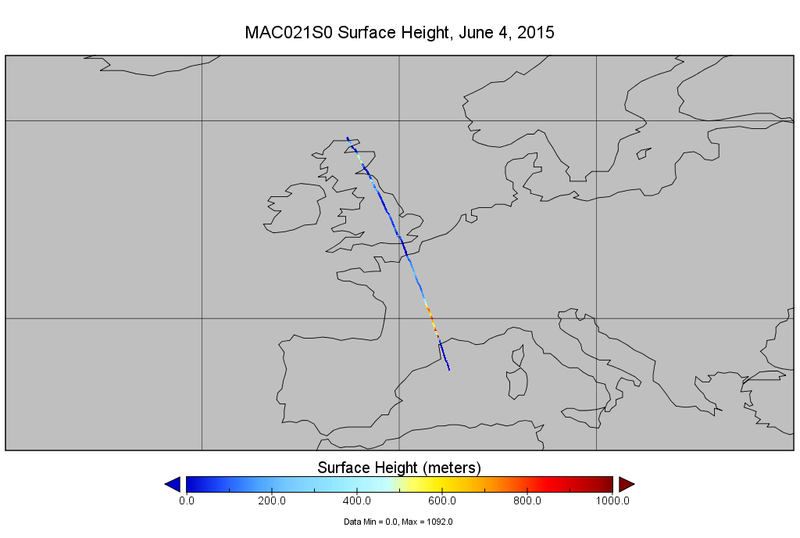 The goal of the narrow-swath subset is to select and return MODIS data that are within +-5 km across the CloudSat track. I.e. the resultant MODIS subset swath is about 10 km cross-track. Thus, MAC021S0 cross-track width is 11 pixels for radiances. Geolocations in the original product, however, are subsampled at 5-km, and thus the cross-track width of the subset geolocations is 3 pixels. Along-track, all MODIS pixels from the original product are preserved. In the standard product, the MODIS Level 1B data set contains calibrated and geolocated at-aperture radiances for 36 discrete bands located in the 0.4 to 14.4 micron region of electromagentic spectrum. These data are generated from the MODIS Level 1A scans of raw radiance and in the process converted to geophysical units of W/(m^2 um sr). In addition, the Earth Bi-directional Reflectance Distribution Function (BRDF) may be determined for the solar reflective bands (1-19, 26) through knowledge of the solar irradiance (e.g., determined from MODIS solar diffuser data, and from the target illumination geometry). Additional data are provided including quality flags, error estimates and calibration data. Visible, shortwave infrared, and near infrared measurements are only made during the daytime, while radiances for the thermal infrared region (bands 20-25, 27-36) are measured continuously. (The shortname for this product is MAC021S0). See Related URL here for links to information about the quality of MODIS data. Quality information of the original data.